Beautiful and upgraded 1968 2 bed 2 bath Kit home. Located conveniently close to grocery stores and 5min away from the Oakridge Mall via access to major freeways like 87 and 85. Enjoy approximately 1040 sq-ft of living space nestled in the sought after community of Colonial Manor. 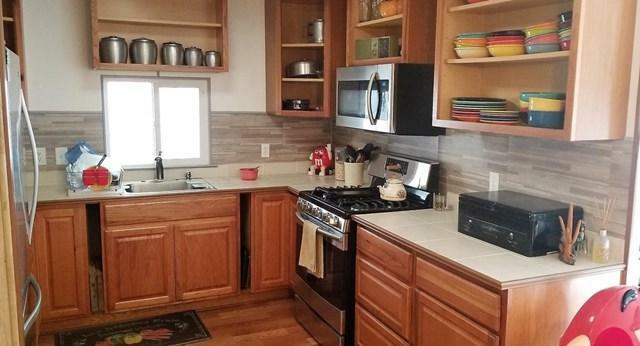 Stunning new kitchen with all new stainless appliances. 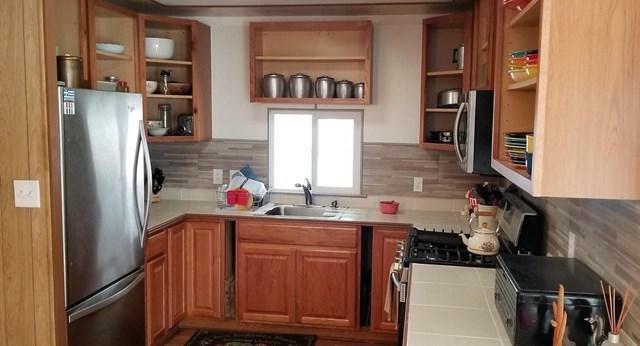 Kitchen counters are tile while the bathrooms are formica. Enjoy comfort features like dual pane windows, 2 faux blinds, new outlets, new copper wiring, new pex plumbing, new installed vinyl tile laundry room floors, new master bath laminate floors and newly installed guest bath tub/shower surround and more. Enjoy a private access off master bedroom to an outside backyard porch to enjoy some privacy. Home features a large outdoor deck plus lower patio area to enjoy some fun in the sun. With two storage sheds, ample guest parking, and a built in desk in master bed with walk-in closet, all make this a desirable and move in ready home.